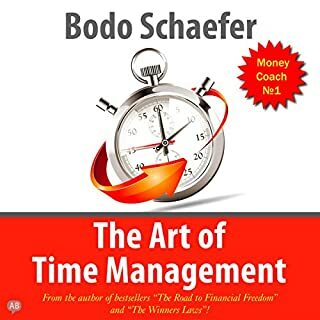 Bodo Schafer is a successful time management trainer. Through his time spent as a financial guru, Schafer has come up with a set of 30 laws that, when followed, can drastically improve the quality of one's life. The laws give you the tools used by this world's elite in order to gain control of your life and attain the confidence you need to move forward with all the gusto and purpose of a true winner. The modern life makes us take decisions and act faster and faster. But not all people are capable of doing all things that were planned on time. So how is it possible to spend time effectively and consciously? What rules can help you to keep up-to-date with work and to complete projects according to deadline? This practical audio course will answer on all these questions. In this book you'll find a unique system that helps you achieve success in any sphere of life. It includes easy and realizable tips that will lead you to better and happier life. You'll learn how to succeed in your career and relationships with other people.This audiobook can be useful not only for experienced managers, but also for those people who feel leader potential though still can't realize it. Looking for a book from a flipper doing deals in today's hot market? Mark Ferguson has had from 15 to 20 flips going at once in 2017 in Colorado, one of the hottest real estate markets in the country. He does not rely on market appreciation to make money, but his techniques to find awesome deals. That is only part of the flipping business. This book contains all the details need to start flipping houses from scratch or to build your current flipping business bigger and better. 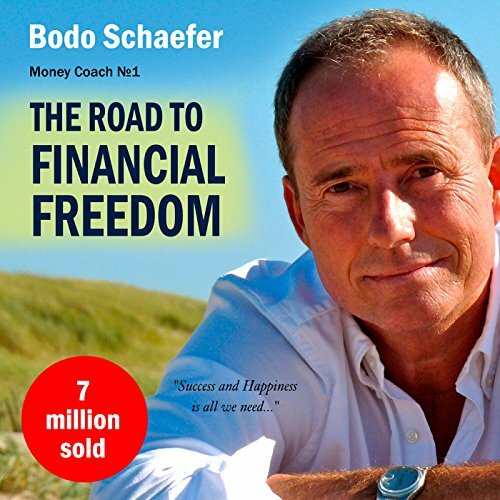 Number-one worldwide best seller Bodo Schafer suggests tips to help make you as successful as he and many others have been by showing you the road to financial freedom. For many people, the concept of actually owning a million dollars at one time is completely unfathomable. So what if you could do it in seven years? 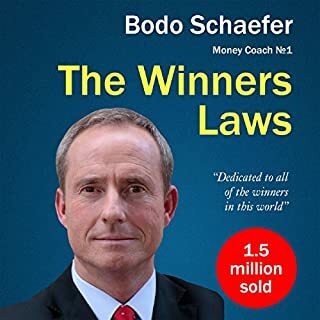 Bodo Schafer, renowned financier and personal management aficionado, is back again to help people discover the tips and tricks that successful individuals employ to make it to the top. The Road to Financial Freedom is just that - a journey, and one Schafer has elected to help you undertake. Being rich and successful isn't merely luck; it takes discipline, tools, and an understanding of finances that most people simply don't have. This book is here to help unravel the shroud that keeps success out of the grasp of ordinary individuals. While becoming a millionaire in just seven years seems like a dream to some, those who practice the habits in this book could very well see it become a reality. Individuals are fraught with financial prejudices they don't know they have, which keep them from attaining success they don't know they are capable of. You can earn money, manage that money, and watch that money grow exponentially in a way that allows you every want without becoming destitute, because at the end of the day it's all about making your money work for you instead of spending your whole life working for your money. 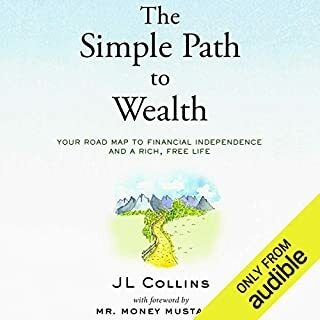 Where does The Road to Financial Freedom rank among all the audiobooks you’ve listened to so far? Have you listened to any of Kelly Rhodes’s other performances before? How does this one compare? THE IDEA OF SAVING 10% OF YOUR INCOME. IT'S SOMETHING LIKE THE ADVICE GIVEN IN "THE RICHEST MAN IN BABYLON"
I AM FEELING DELIGHTED TO COME ACROSS THIS BOOK. RALLY AWESOME! AND A BREAKTHROUGH TO MAKE THE MOST OF YOUR LIFE AND TO ATTAIN A FINANCIAL FREEDOM. A MUST FOR EVERYONE ESPECIALLY THE BUDDING ENTREPRENEURS AND THOSE WHO ASPIRE TO SEE THEIR DREAMS COME TRUE. Gives hope to the youth and inspiration to them. I would definitely recommend this book to my colleagues and mates as I want them to know what it takes to earn and how to be successful. There was no favorite character and the narrator was definitely ambitious enough to inspire the listener to acting upon what was written here. I did feel much more hopeful and insightful after listening to the book. It made me happy for sure as I became more determined to dictate the way I live my life. This book is the must-have guide for everyone who has just started to earn or who is shifting from learning to making. The entrepreneur skills and the saving tips are really what define who a person will grow up to. Becoming a millionaire in a few years would definitely justify you saving off a mere 10% of your income. Would you consider the audio edition of The Road to Financial Freedom to be better than the print version? It depends what you prefer. As I'm getting faster tired while reading books, I personally prefer audiobooks same time my hands are free I can be more mobile. What other book might you compare The Road to Financial Freedom to and why? 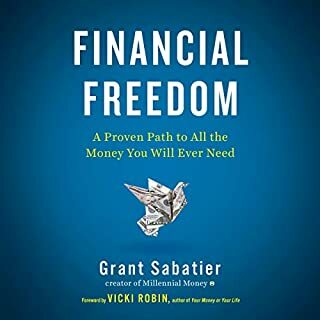 I haven't read many books about such a subject, but I could somehow compare The Road to Financial Freedom book to Richard Branson book - "Screw it, Let's do it". Somehow it felt same inspirational and opened many hidden doors to see the bigger picture of how to get closer to financial success. Both books inspired me a lot and dared me to make a new important steps in my life - start saving and don't waste money. What does Kelly Rhodes bring to the story that you wouldn’t experience if you just read the book? After all, I loved the idea about saving 10% of your income. This for me is as a foundation for building wealth and experience financial freedom in long run. The book it self will not make nobody rich, you just have to take the action and use the principles and technique presented in the story. Interesting task...I would probably go with : "I bet you had no idea that also You can be rich..."
Listening to the book story I saw many similarities to my situation, what i have been doing wrong, blaming others for my own fails, avoiding responsibilities...Living over my budget, it's so true that many people thinking like this - to live now and don't think about tomorrow is so right. When i was younger I was thinking the same. I can only say many thanks to the author Bodo Schäfer for really powerful material for people who lost their faith that can be better. "The Road to Financial Freedom" is must read for every ambitious and desire to change lives person. I am inspired. I’m so glad I came across this book. ‘The Road to Financial Freedom’ has amazing principle for living an effective life. Bodo's style of writing is so hilarious and it makes an enjoyable read. It's not just some self-help book that preaches you on how to be rich, but more of a journey to greatness. The book is full of other people's stories and this helps in making it intriguing and easy reading. At 18 even though financial freedom is not the most important thing on my mind right now, but it’s the ultimate goal I want to achieve in my life. I will definitely recommend it to anyone who wants to have a brighter future but has no idea how to achieve it. What did you love best about The Road to Financial Freedom? The comparisons used in the book painted a great picture of what actions would bring about as well as inaction. Made the possibility of being wealthy within the reach of anyone. The constant theme of being able to write your own fate and not blaming anyone for your lack of money or success. Talk of your future self being the person you set him up to be with your actions of today. Yes definitely. This is so because I learnt a lot from that and i would love if my friend gets to learn something as well. What was one of the most memorable moments of The Road to Financial Freedom? The moment when the author tries to convince you that you should be able to save at least 10% of your income for saving. yes definitely because this book will help you navigate your way to financial freedom. great reading feels like I have a better understanding of my money now. financial freedom is just a few years away for me now. 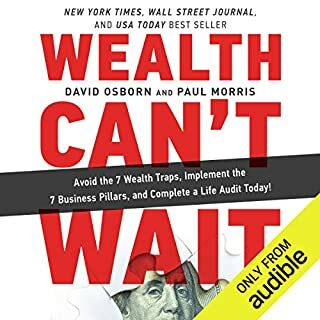 This book is truly a must read for anyone looking to further grow their potential knowledge of financial and self development. Do go without it people!! Yes I would. I think that most of people's problems are due to the fact that people don't know many things! So I believe that knowing the steps you need to do in order to become richer and richer (not only as far as money, but also as a human being!) can make someone happier! I've read another book on the financial freedom topic and it was "Secrets of the millionaire mind". I like to experiment different points of view on the same topic, and both books were very useful for this! A voice can give you emotions that you wouldn't experience just by reading the book. Yes!!! I wanted to finish it right away because all the tips and tools that the book gave me made me change a lot of thoughts and emotions that I had as far as money, debts, responsibilities... I felt better! This book is a perfect manual to decide what is your goal, understand why you didn't achieve it yet and find the actions you need to do from today on in order to change your results! Amazing book on how to gain financial success. If you could sum up The Road to Financial Freedom in three words, what would they be? This book did not have characters to review. It is about the basic principles of how to make your fortune with sound practices and easy to follow directions. 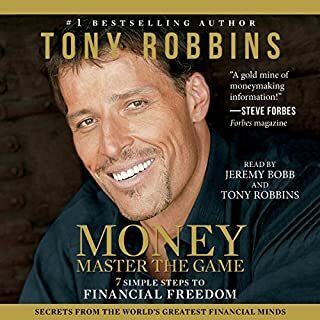 It outlines the people to use as role models, basic principles of compound interest and it's importance in building your wealth, how to create a "dream album", wise words of encouragement, four pillars of a positive financial lifestyle, strategies to write your own life's script, and 24 questions to uncover a snapshot of your current money situation. What about Kelly Rhodes’s performance did you like? Loved Mr. Rhodes's voice. The inflections you would expect for the material being read was evident. I'd happily listen to him in other audile books. I had a strong reaction to this book. I took copious notes to use as future reference. I wish I had read or listened to this book when I was just starting out on my adult life. I am retired now, but can use Bodo Schafer's guidelines, principles and concepts to make our retirement funds last longer. I have a 23 year old son who is autistic. I plan on letting him listen to this book so that he can start out his adult life financially on the right track. This book will help him become a self-reliant, financially secure adult. I consider myself to be quite savvy in financial matters but this book managed to change my perspective on personal investment. If I had read this 10 years earlier it could have saved me from some of the mistakes I made. The book recommends a structured approach which is practical and achievable by anyone who is willing to put their mind to it.